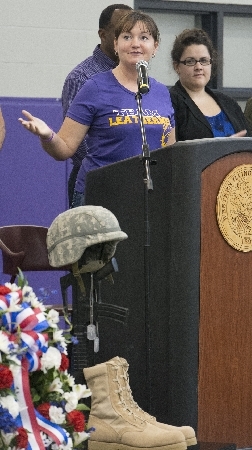 Dana Enger at the inaugural Fallen Soldiers 5K. Enger will be this year's official race starter. MACOMB, IL -- Western Illinois University Alumna and former Assistant Vice President for Administrative Services Dana Enger will serve as the official race starter for the 2017 Fallen Soldiers 5K Run/Walk Saturday, Oct. 14 at WIU. The WIU Employee Wellness Committee, which was led by Enger, came up with the Fallen Soldiers 5K Run/Walk in November 2012 to recognize two WIU alumni who were killed in the line of duty, Capt. Derek Dobogai and LTC Robert Baldwin, and to raise additional dollars for the Fallen Soldier Scholarships at WIU. That first year, nearly 300 runners and walkers took part on Veterans Day, raising more than $10,000 for the scholarship. Today, the race, has grown into one of the largest foot races in McDonough County, with close to 600 participants. More than $80,000 has been raised for the scholarship. To honor Enger's vision and commitment to this annual event, she has been selected to shoot the cannon to start the 2017 race. Race registration is now $35. Student registration is $20. For a $100 donation, Honor a Vet Sponsors may honor a friend or family member who has served or is currently serving in the military. Every honoree will have his/her name, rank and military branch listed on an individual sign, which will be placed along "Veterans Row." The Fallen Soldiers Scholarships fund was started in honor of Dobogai and Baldwin. Dobogai, who graduated from Western in 2003 with a bachelor's degree in law enforcement and justice administration, was among the 14 U.S. soldiers aboard a Black Hawk helicopter that crashed Aug. 22, 2007 in northern Iraq. Baldwin, who earned a bachelor's degree in industrial technology from WIU in 1993, was killed Sept. 21, 2010, when his Blackhawk UH-60 helicopter carrying international troops crashed during combat operations in the Zabul province of Afghanistan. 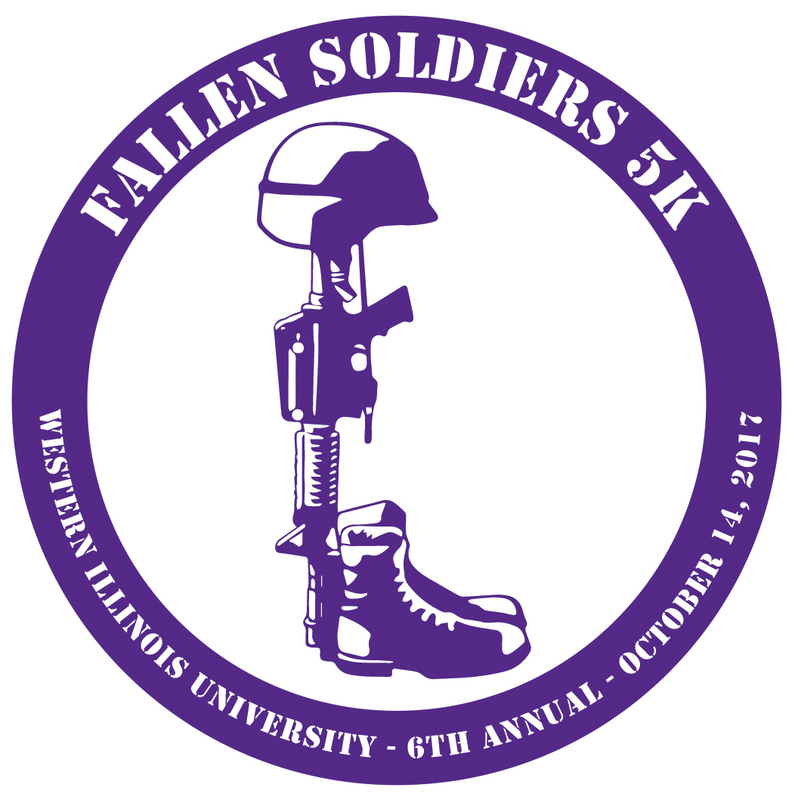 For more information, visit wiu.edu/vpas/wellness/event.php?id=563 or email fallensoldiers5k@wiu.edu.